New book - and it's free until May 1st! 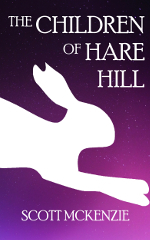 It's set in Hare Hill Garden, a real park managed by the National Trust close to my home in Cheshire, where I've had many adventures with my family. The paperback edition is out now and the Kindle edition is released tomorrow. I'm also veyr pleased to report that I'm working with a great narrator on the audiobook edition, which will be released early next year. First up is a project I'm very excited about. My first audiobook has hit the virtual shelves! 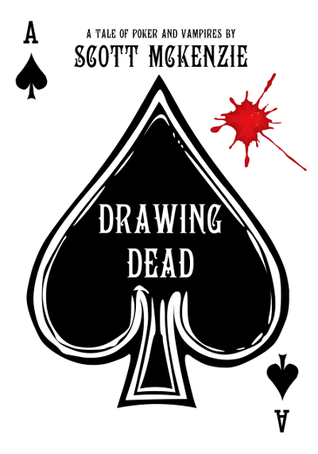 It's an unabridged recording of my most recent novella, Drawing Dead: A Tale of Poker and Vampires. 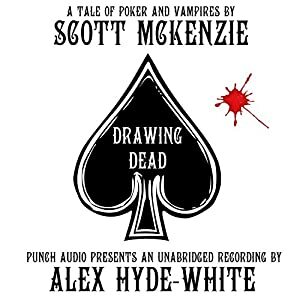 I used the Audiobook Creation Exchange and hooked up with Alex Hyde-White of Punch Audio, who did an amazing job with the narration and production. The audiobook clocks in at just under two hours, so it's the perfect companion for a long journey or a boring afternoon in the office. 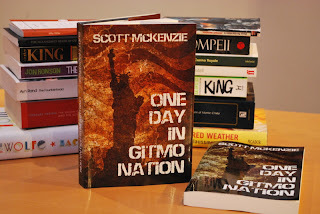 Secondly, I've just published another Kindle short story in the Gitmo Nation universe. It's called The Ninety-Year-Old Assassin and the story is set a short time after the events of One Day in Gitmo Nation. A ninety-year-old man lies in a critical condition after being foiled in his attempt to murder a Republican candidate for the upcoming presidential election. Hospital porter Gordon Gunderson finds himself drawn to the old man, but why would someone so old and frail try to assassinate a public figure? And what does it have to do with an event in Roswell, New Mexico in 1947? Here we go - another day, another book! So if you want to read this tour de force of horror and suspense, you can get the ebook now for free. All you have to do is buy it on Smashwords using the coupon code WV28B. Be quick - the coupon runs out on May 1st! Not only that, but you can also get your hands on the physical book before it hits the bookshelves by entering one of my giveaways at Goodreads. I'm giving away five copies to British readers and five to American readers. Good news everyone! 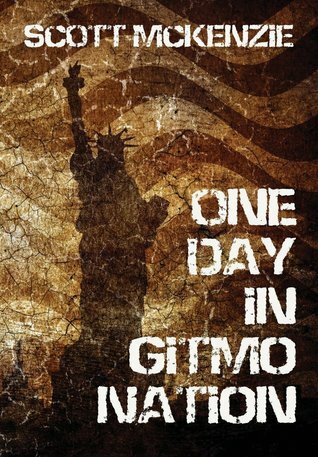 I'm giving away three signed copies of One Day in Gitmo Nation, the novel that was published as a result of a successful Kickstarter project. Enter below to be in with a chance! 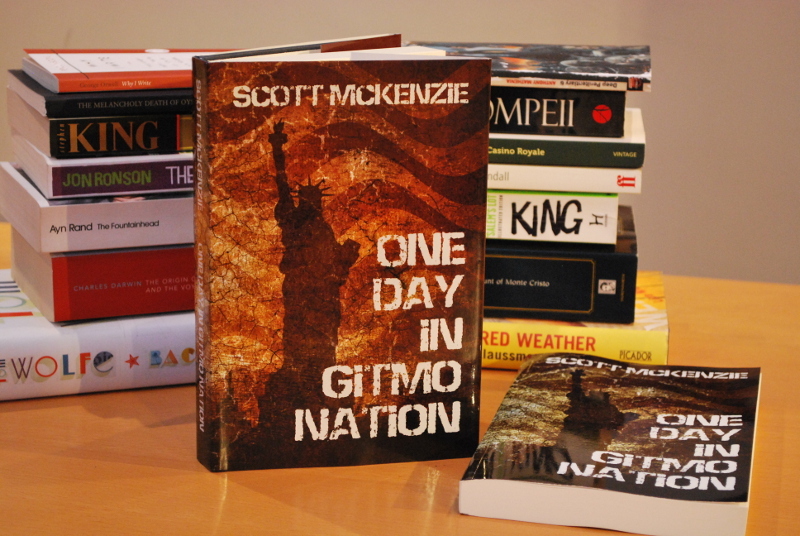 The Kickstarter project to republish One Day in Gitmo Nation has great rewards at all levels. All book contain the bonus stories A Gitmo Nation Christmas Carol and The Foot on the Shore and all levels include international postage. The project will end on Friday 11th October so you'll need to be quick! Get A Gitmo Nation Christmas Carol for free! A Gitmo Nation Christmas Carol - Out Now!